SPI Group’s Baltic Business Unit today announced the creation of Amber Beverage Group Ltd., a holding company, which will create cohesion across SPI’s Baltic companies and will be headquartered in Riga. The Amber Beverage Group Ltd. will include the following companies: the alcoholic beverage producer JSC Latvijas Balzams, the beverage distributors; SPI Distribution Latvia, SPI Distribution Estonia and Bennet Distributors in Lithuania, the specialized beverage shop chain Latvijas Balzams in Latvia and Bravo Alco in Lithuania. A new logistics services company will join the holding company later this month. CEO of SPI Group, Val Mendeleev, who will assume the role of Amber Beverage Group Chairman of the Supervisory Board, comments: “This is an important step in the direction of our long-term strategy. 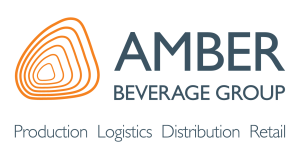 It sets the foundations for Amber Beverage Group’s expansion plans and will provide for greater flexibility as we grow”. The company name Amber Beverage Group and its visual identity reflects our unique Baltic heritage and symbolizes not only the Amber coast, but also our core values of entrepreneurship, tenacity, fun, speed and excellence supported by teamwork. After the founding of the holding company, each business unit will retain their names and management.